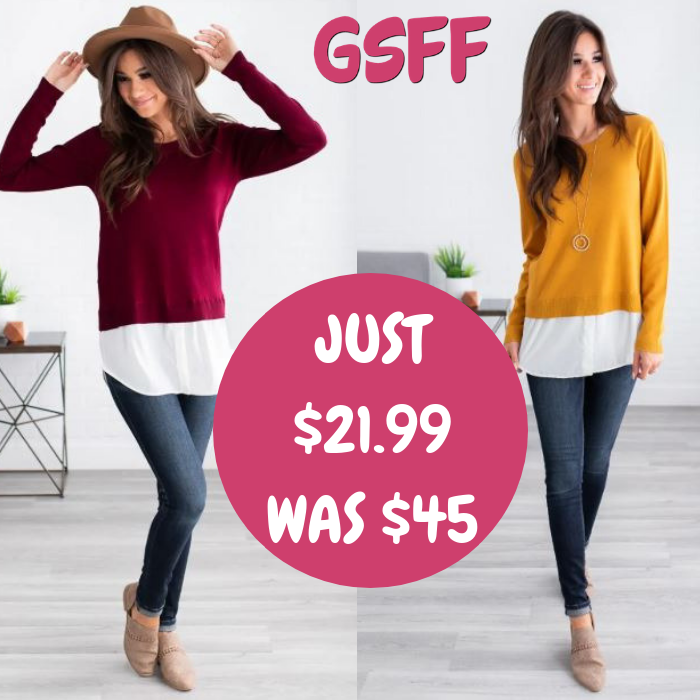 Classic Tunic Sweater Just $21.99! Down From $45! FREE Shipping! You are here: Home / Great Deals / Classic Tunic Sweater Just $21.99! Down From $45! FREE Shipping! Head over to Jane where you can get this Tiffany Classic Tunic Sweater for just $21.99 down from $44.99 PLUS FREE shipping! This Tiffany Classic Tunic Sweater features a simple sweater top with a chiffon tunic bottom that has a curved hem for a super flattering fit! Dress it up with a pencil skirt and heels or rock it casual with your favorite pair of jeans and flats, either way, you’re sure to be the envy of all your friends!